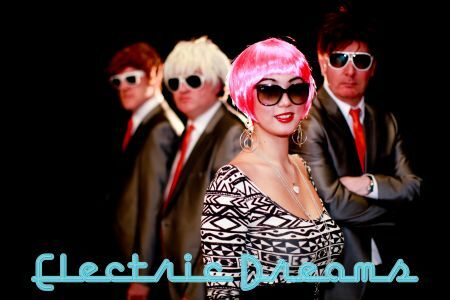 Electric Dreams 80's tribute band is the excuse you're looking for to dress up in shark skin suits or squeeze back in to your rah rah skirt and dance the night away to some of the best music ever written. Four great musicians have come together to indulge their love of music from the 80's and build a band just for fellow 80's addicts. Sorry, Electric Dreams doesn't have any photos right now Send us an enquiry and we'll get back to you, or check out the rest of the act profile. We don't have any reviews for Electric Dreams yet. In the mean time, check out our profile or listen to some of our samples.